The client is looking for new and more centrally located premises in Amsterdam: a building with enough space for a cinema and an appearance that underscores the identity of this remarkable company while conforming to budgetary frameworks. The film and TV producer develops, produces and distributes content in the field of entertainment, factual programmes and drama. A preview cinema is therefore an absolute must for the company’s new offices, and has to meet the highest possible soundproofing standards to ensure that any other tenants will not be inconvenienced by screenings. Taking the wishes of the client as the starting point, CBRE went in search of the most suitable location. The final choice of office building meets the soundproofing requirements, while its central location on Piet Heinkade also offers a magnificent view. The next step was to develop an interior design that captures the client's unique identity. A multidisciplinary team maintained contact with all parties involved in the implementation while taking care of project, purchasing and relocation management. The client's employees were updated on location about their future work situation and weekly video conference calls enabled stakeholders from all over the world to keep track of progress, budget and planning. 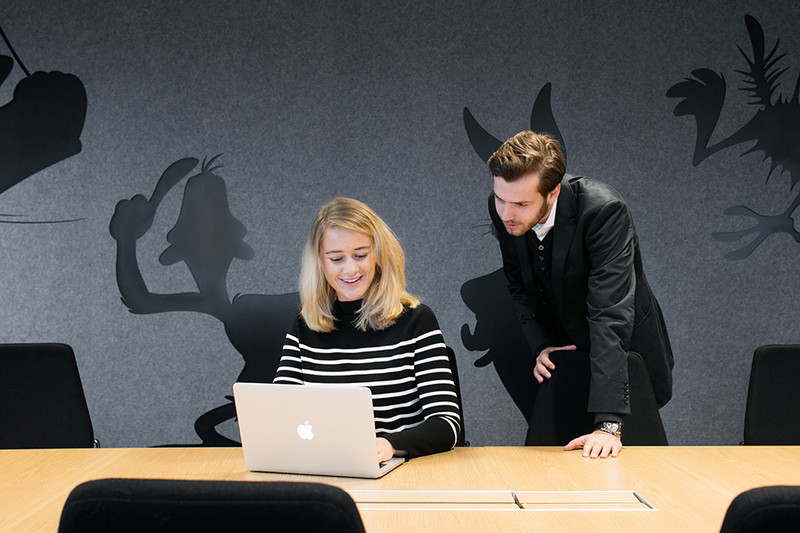 On 5 August 2016, the film and TV producer moved into its new, centrally located office premises, complete with a cinema that meets all requirements and a design inspired by movie sets. The pristine entrance features clean lines and is a stylish expression of the identity. 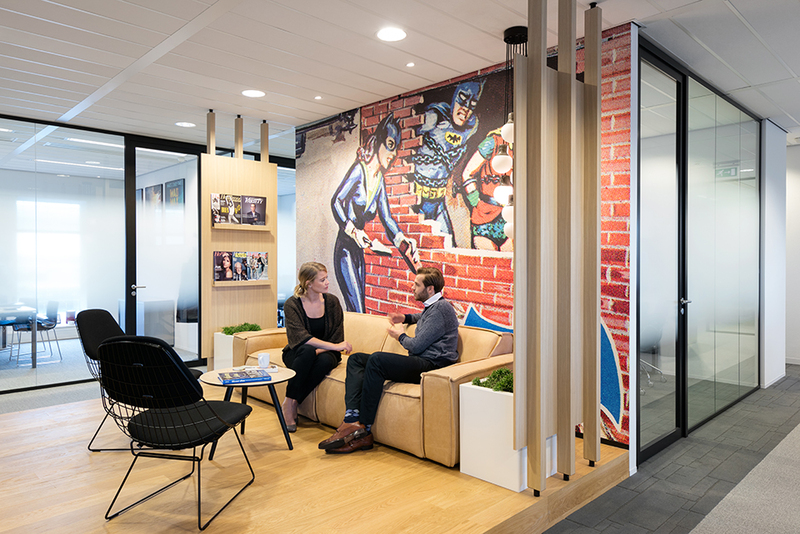 The decor in the workspaces has been kept muted, apart from occasional large-scale graphic elements depicting the client's famous figures. A number of informal lounge areas in the workplace have been lit to represent a variety of movie scenes, while an urban and a natural decor conjure up associations with film sets. Inspired by its positive experience on this project, the client now plans to implement CBRE’s multidisciplinary approach and communication strategy for the relocation of its London office.